A few days to relax and roam Athens before our road trip. Took a bike with Mitsos and we drove a bit in the centre. I love the Graffiti in Athens. It is everywhere and there so many great pieces all over the place. Flisvos Marina – something different from the usual Athens walks. 303 stern-to berths and half of them for super yachts. The Samurai was once a record-breaking racer and was later refitted as a super yacht. Before it was rebuilt the boat was known as the Mari-Cha IV. The 42.4-metre schooner’s sole purpose was to set speed and distance records. She broke the transatlantic record and the longest distance in 24 hours. She also won the Rolex Transatlantic Challenge, broke the Guadeloupe to Antigua record and the Hawaii Pacific Ocean record! The Al Salamah. Build in 1999 with a makeover in 2009. A crew of 96 takes care of up to 40 guests. The Crown Prince of Bahrain is the owner of the yacht Al Salamah. Al Salamah was built by Lurssen in Germany for the late Prince Sultan of Saudi Arabia. Mitsos has some friends from Hamburg. They have the car from Germany on the island and are happy when somebody drives it back to Germany again. This year it worked well with my schedule. I took a flight down to Athens and we drove 3 weeks back to Stuttgart. The first step is of course: A plane to Athens! A Greek island – Athens is close! Thanks for picking me up from the airport! The bike shop of Mitsos friend. We got some bike to cruise Athens for the day. At the food place! I am in Thailand now and write this blog post. BUT – I want to be in Athens right now at this place for lunch!! But Greek beer and a blue sky! 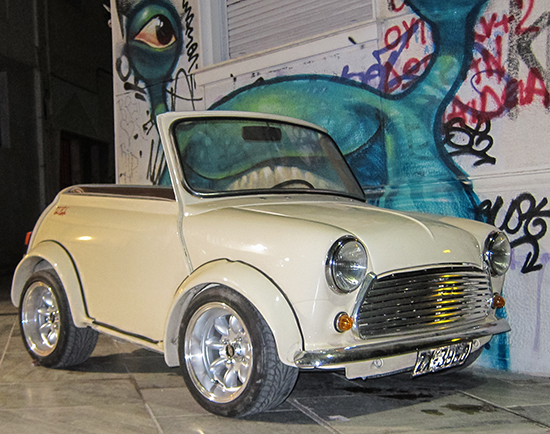 The smallest Mini Cooper in the World?? 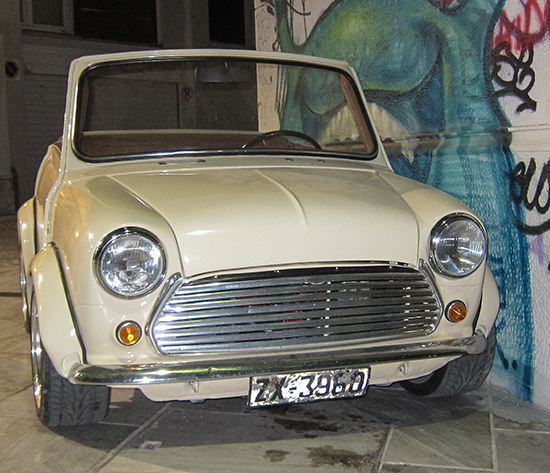 Roaming the streets of Athens one night i had to stop for this very special Mini Cooper! This is the smallest Mini Cooper i have seen so far. 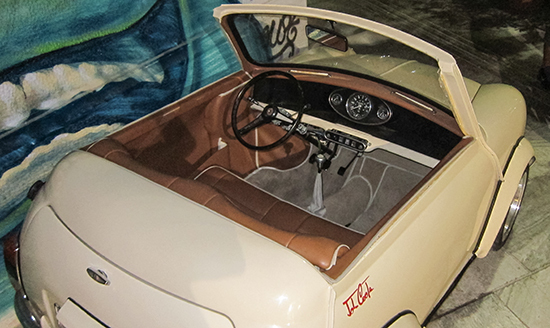 Would love to take it for a spin – it looks so much fun. Did you ever saw a smaller one?? 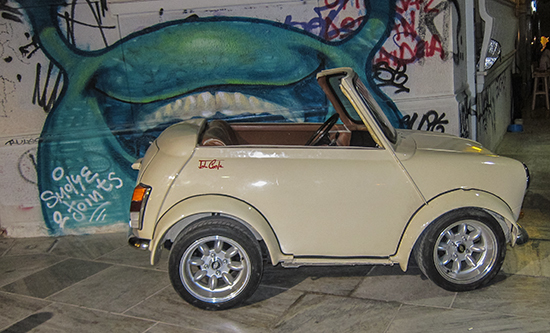 Author Marc HastenteufelPosted on July 14, 2013 August 19, 2016 Categories Athens, Car, Europe, Greece, TravelTags Athens, Car, Europe, Greece, Trave1 Comment on The smallest Mini Cooper in the World? ?